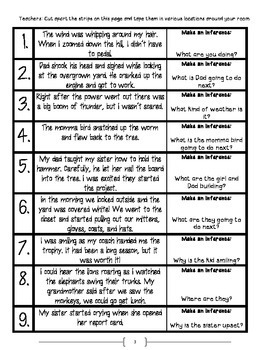 Use this page after teaching or reviewing inferences for literature. Print page 3 on colored paper or cardstock and cut apart the strips. Laminate them and then tape them around the room. 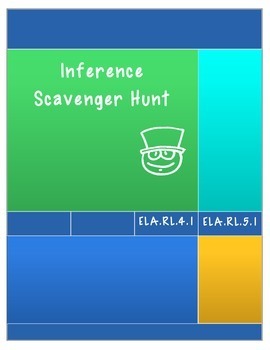 It’s fun to hide them under chairs, behind curtains, or even in the hallway. 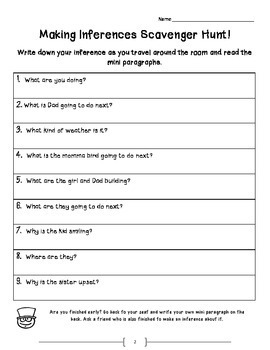 You will give students page 2 and the instructions to walk around the room and write down their inference about each mini paragraph. 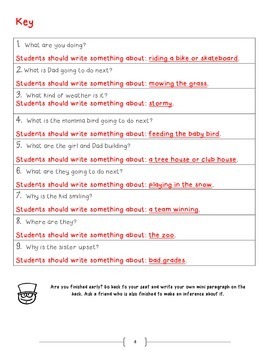 Note: This was designed with 4th grade in mind, but it can easily be adapted for 3rd and 5th grades. Check out the bundle pack: Why buy one when you can buy all *NINE* for $6.00?